I’m pleased to congratulate our trustee Gijsbert who has been elected to serve onto the University of Leeds Equality & Diversity Committee for the next three years. The Equality & Diversity Committee is the highest body at the university for deciding on relevant issues, being chaired by Pro-Vice-Chancellor for Students and Staff Professor Stephen Scott. Members are elected by their fellow university staff members to serve on the committee. Dr Stoet beat off both other candidates to win the election with a manifesto promising to ensure everyone was given fair representation including majority groups such as the non-religious community on campus who are often discriminated against leading to the atheist student group having to file several discrimination complaints over their three years of existence. One of the aims I always wanted for the foundation, was that we would be an organisation that got out there and did stuff. Not just talked about it, or planned it, but actually got out there and got something going. I’m pleased to say that our work seems to be inspiring other organisations to do the same. Having just read the latest copy of the BHA News which arrived through my door a few days ago, I noticed they have now formally launched their equivalent to our One Life course, Exploring Humanism, complete with a overtly stock image as I am a sucker for using on our projects too. Just a week after our Enquiry 2010 conference took place, the BHA have announced the return of their annual residential weekend conference and following our public announcement of the Humanist Chaplaincy Network during the weekend, they have also announced they will soon be launching the Humanist Chaplaincy Working Group too. I’m really proud that despite only being a year old, the work of the foundation is already inspiring many others in the non-religious community to get out there and make a difference. Long may it continue! Speaking at the conference were Professor A. C. Grayling, Professor Chris French, Andrew Copson, Norman Ralph, Maryam Namazie, Chris Worfolk, Dr Gijsbert Stoet, Dr Evan Harris, Dr Antony Lempert with Saturday night entertainment from Simon Munnery too! 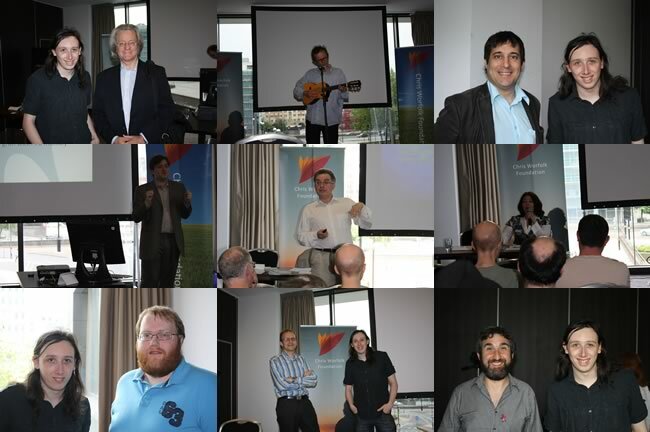 If you missed the event you can see some of the photos from the event on Facebook and Flickr. We would like to say a big thank you to all our guest speakers who gave their time to be with us over the weekend and indeed all those who attended the conference too. We hope you enjoyed it!